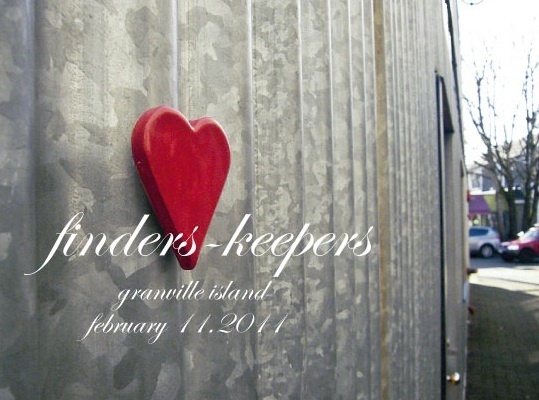 Vancouver based artist, Jasna Sokolovic has scattered up to 200 ceramic hearts across Granville Island starting February 11th, 2011. If you find it, take it, keep it for yourself or give it to someone who will cherish the love. Each tag has my web address, if they inspire you, please send me an email, comment or photo. For more information or to check out more of Jasna's work, please visit her website here. Wishing I was in Vancouver for this!